Free and cheap activities in Queenstown. It’s no secret: Queenstown is a pretty expensive place to be. With pricey adrenaline activities on offer, a rate of rent, food and more, you’ll want to save every cent you can in this popular town. That’s why we’ve put together these free things to do in Queenstown! Whether you are in Queenstown for a few days or staying as part of your working holiday in New Zealand, the resort town can easily burn a hole in your wallet. Take a hike, find some amazing vantage points, try some cheap eats and more with these free things to do in Queenstown. 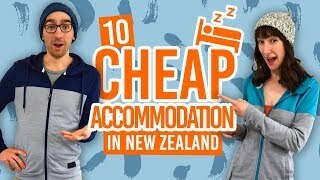 You can also find some more money-saving tips for your stay in Queenstown in 10 Best Hostels in Queenstown and Accommodation Guide to Queenstown. For those in the know, there are plenty of fun ways to spend your time here other than the expensive bungy jumping and skiing options (although they are a lot of fun too). Take a look at the listicle below! Getting to the start of the Queenstown Hill walk on Belfast Street is an achievement in itself when you see how steep the streets are. Taking you through fur tree forests and emerging on high grasslands which look over Queenstown, this walk is worth the climb for the sensational views. Throughout Queenstown Gardens are 18 baskets begging for people to throw frisbees in them. Many of the sports stores in town hire frisbees out for less than NZ$5 making it a cheap thing to do in Queenstown! For an affordable all-weather activity in Queenstown, hit the trampolines of SITE Trampoline in The Remarkables Park Town Centre. Practice your freestyle tricks for the Queenstown ski fields! There are heaps of activities going on with training on freeski, parkour, freestyle trampolining and so much more. Progress on your tricks at any level or just enjoy some cruisy bouncy fun. Freestyle jump sessions are up to NZ$25. Taking you to the top of Queenstown Skyline Gondola, the Tiki Trail is an alternative and free route to seeing the view of the town that are on most Queenstown postcards. The walk starts at the gondola base on Brecon Street. Hike to the highest peak in Queenstown! The track is well signed from the Skyline Gondola. This is the closest experience to a backcountry hike you will get this close to Queenstown. Walk across the saddle and take the super steep climb to the summit. This walk is easier in summer. Follow an old pipe line through beech forest and past various waterfalls. Arguably this is a more impressive track than the Tiki Trail, so if you are going to pick one, pick One Mile Creek! Location: The track starts at the One Mile Creek roundabout on the Queenstown-Glenorchy Road. It joins onto the Tiki Trail. Located in the town centre on the lakefront (on the pier with KJet), see what lives in Lake Wakatipu. Most impressive of all is the diving ducks! The ducks get amongst the huge trout and eels for the food you can deposit. At NZ$10, it’s affordable entertainment. Walk along the Frankton Track – another free activity – or take the Connectabus to The Remarkables Park for cheaper shopping than what you find in the town. The famous Ferg! Go see what the fuss is about by demolishing a gigantic Fergburger with prices ranging from NZ$11-NZ$18. We recommend the Chief Wiggum burger or vegetarian Bun Laden! 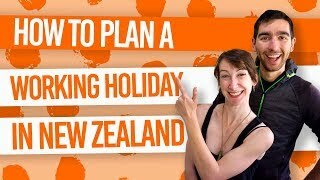 Visiting Queenstown in summer? Queuing for a Fergburger can be an all-day activity. A local’s tip would be to order over the phone in advance. Fergburger’s forgotten brother, Fergbaker sells gourmet desserts and pies. Let’s face it; simply eating a savoury pie is a must-do in New Zealand. Ok, Lake Wakatipu is huge so there are many places to walk along it and revel in the beautiful surroundings. Easy to access walks from the town centre are through the Queenstown Gardens and the Frankton Track. The track around the perimeter of the gardens is bike and wheelchair friendly. With so many delicious fudges to try like cookies and cream, apple pie, white rum and chocolate, it would be rude not to taste some. Then again, when you spend too long tasting you feel a little rude not buying anything. In that case, a block is NZ$6. Why are we limited to Friday nights here? Because it is NZ$19.50! Queenstown Ice Arena is located in the Queenstown Gardens. Whether it’s during winter to get to The Remarkables ski field or casually driving up there in summer, there are awesome views of Queenstown to be had. There are a number of viewpoints to stop at on your way up the mountain. Ok, this can easily spiral out of ‘cheap thing to do’ if you let it, but a few bars in Queenstown offer drink deals, such as 1876 and your hostel’s partner bar. Keep an eye out for drink specials in the Lakes Weekly Bulletin. Additionally, it’s always fun to try the bucking bronco at Cowboys. Check out the awesome bars to choose from in Queenstown as well as our Guide to Queenstown Nightlife. The discount booking websites for Queenstown are particularly good. Constricted to time and date, there are a few Queenstown activities under NZ$20. Try kayaking, paddle boarding, jet boating, mountain biking, and whatever else is available during the time you are in Queenstown. A great place to start is with our BackpackerGuide.NZ’s DEALS tab!